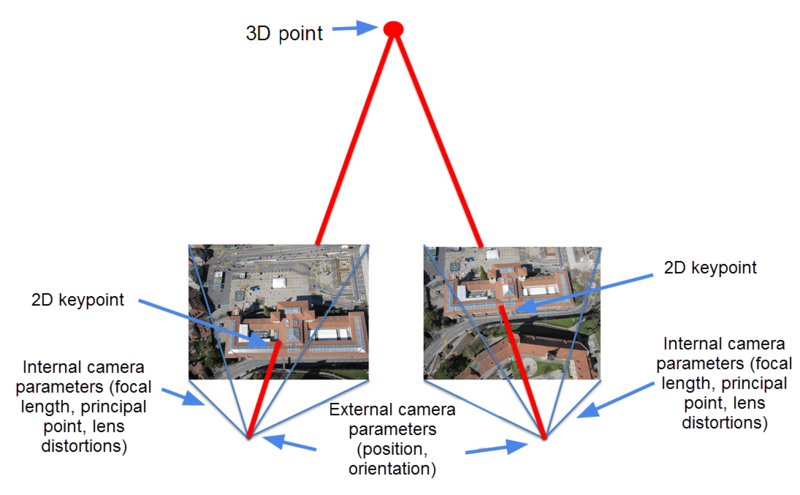 When a point is computed automatically, automatic tie point (ATP), or marked by the user, manual tie point (MTP) or ground control point (GCP) on at least two images, the 3D coordinates of this point are computed using the camera's internal and external parameters as well as the position of the point in the images. Once the 3D coordinates of the point are computed, the 3D point is reprojected on all the images that it appears. The distance between the marked and the reprojected point on one image is the reprojection error. This error depends on the quality of the camera calibration (position and orientation), as well as on the quality of the marked point on the images (position and zoom level at which the point is marked). 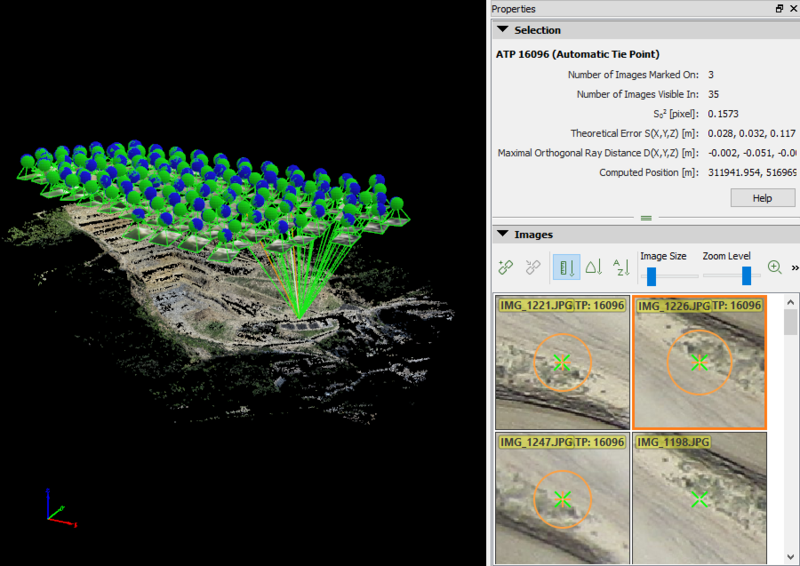 The reprojection error can be visualized in the rayCloud by selecting a 3D point. The reprojection of the point is the green cross that can be seen on the images in the Images section of the right sidebar. It is a good indicator of the quality of the reconstruction of a model. The reprojection error is one indication of the quality of the calibration process and should be less than or equal to one pixel. Blurry or poorly exposed images. An insufficient number of GCPs\MTPs. You have clicked on an insufficient number of images. You have inaccurately clicked on one or more images.